Though they have a bad reputation, root canals are safe and effective treatments that reduce pain and sensitivity, stop decay from spreading, and can save an infected tooth. At Weishaar & Weber Dentistry, Dr. Anthony Weber, Dr. Sue Weishaar, and Dr. Lori Weber are highly trained and experienced dentists who can eliminate your toothache. If you live in or near Spokane Valley, Washington, and are looking for a doctor who performs root canals, contact the office today. Call or book your appointment online. Your dentist may recommend a root canal if you have an infection or abscess in the pulp at the center of your tooth. This pulp is composed of soft tissue and contains blood vessels, connective tissues, and nerves; it stretches from beneath your tooth’s crown to the tip of its root. During a root canal procedure, your dentist removes the damaged or infected part of the pulp, stopping the infection and reducing pain and sensitivity, as well as saving your tooth. When you have a root canal, your dentist begins the procedure by numbing the area and placing a dental dam around the treatment area to protect it from germs and saliva. The doctor creates an opening at the top of the tooth and removes inflamed, infected, or irritated pulp tissue from the center and root canal. They then scrape the canal clean and remove any traces of lingering tooth pulp. Your dentist fills the pocket with a biocompatible, rubber-like substance called gutta-percha, and seals it. If you had an infection, the dentist may administer medication directly in the canal and then wait about a week before sealing it. In some cases, they may use a metal post to provide structure and support for the restored tooth. Your dentist may then place a temporary crown or filling and schedule a future appointment to fit your permanent crown. Once they install the crown, your normal tooth function is restored. If you have a tooth that’s sensitive to hot, cold, or sweets, you may need a root canal. 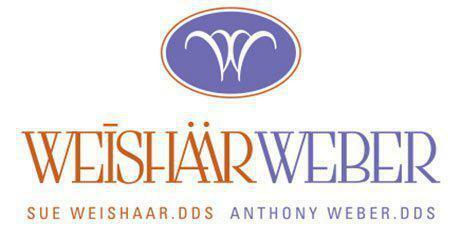 Contact Weishaar & Weber Dentistry, where the focus is on keeping you comfortable and saving your teeth. Book your appointment online or call the office to schedule.